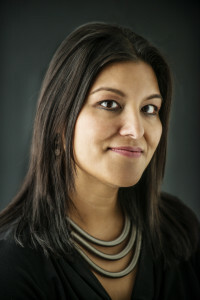 S. Mitra Kalita is the senior vice president for news, opinion and programming at CNN Digital. That means she spends her days directing news coverage, writing headlines, framing stories, playing up stories, playing down stories, learning new distribution channels, pushing visual thinking, shifting lens on stories, innovating new formats, advocating for aggregation and atomization and immersion and narrative enterprise, interviewing future colleagues or lunch buddies, all the while immersing herself in the metrics of last month, last year, yesterday and now. She was previously managing editor for editorial strategy at the Los Angeles Times. During her year there, she helped latimes.com traffic soar to nearly 60 million uniques monthly, innovated new forms of storytelling and audience engagement, and connected the Times to new communities via events, new beats, translations and partnerships. Oh, and the paper won a Pulitzer Prize for its coverage of the attacks on San Bernardino. She served as the executive editor (at large) for Quartz, Atlantic Media’s global economy site, and was its founding ideas editor. She also oversaw the launches of Quartz India and Quartz Africa. She worked previously at the Wall Street Journal, where she directed coverage of the Great Recession, launched a local news section for New York City and reported on the housing crisis as a senior writer. She was a founding editor of Mint, a business paper in New Delhi, and has previously worked for the Washington Post, Newsday and the Associated Press. She is the author of two books related to migration and globalization, including the highly acclaimed “Suburban Sahibs,” and speaks seven languages (but only four of them half decently). She has taught journalism at St. John’s, UMass-Amherst, and Columbia Jschool, and previously served as president of the South Asian Journalists Association. Born in Brooklyn, Mitra was raised in Long Island, Puerto Rico and New Jersey—with regular trips to her grandparents’ villages in Assam, India. Jackson Heights has been home, on and off, for the last 20 years. She is married to the artist Nitin Mukul and they have two daughters and one mutt. She tweets @mitrakalita.